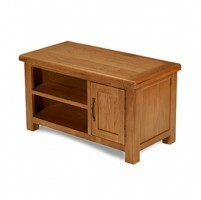 Never mind what's on the TV, look at what your TV could be on. 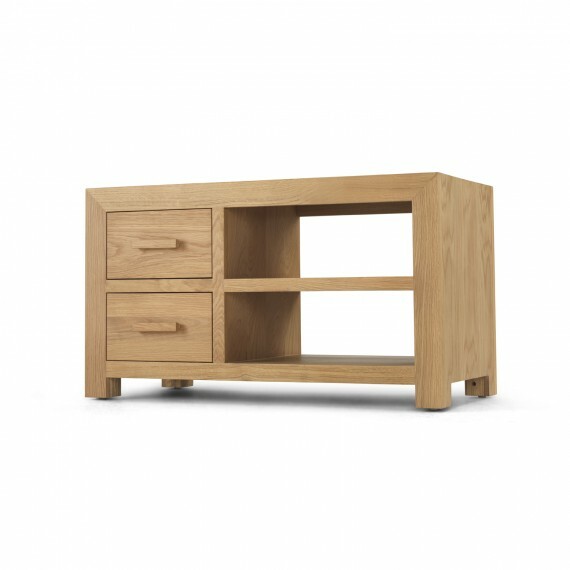 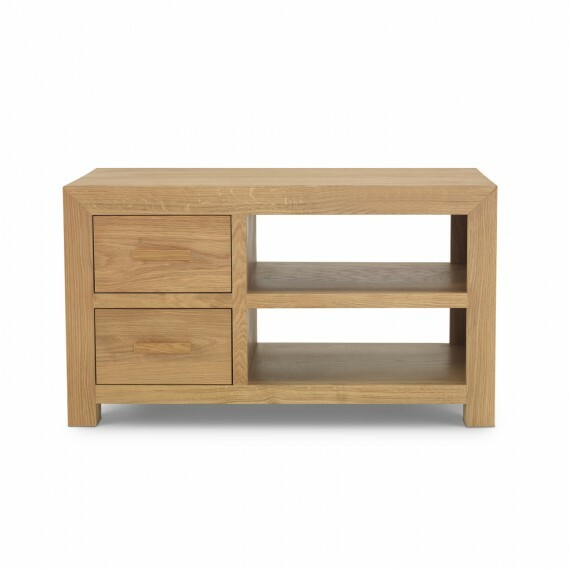 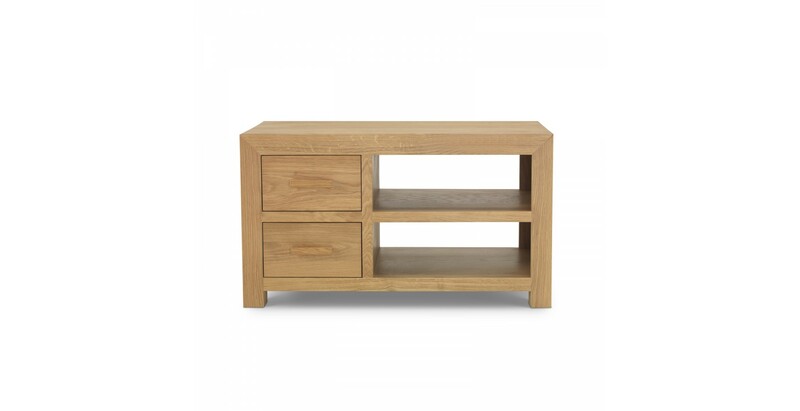 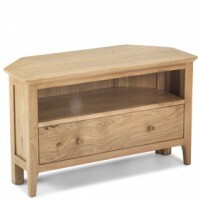 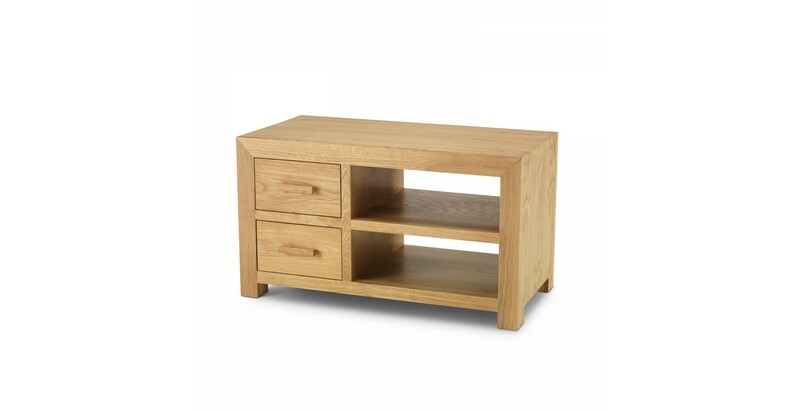 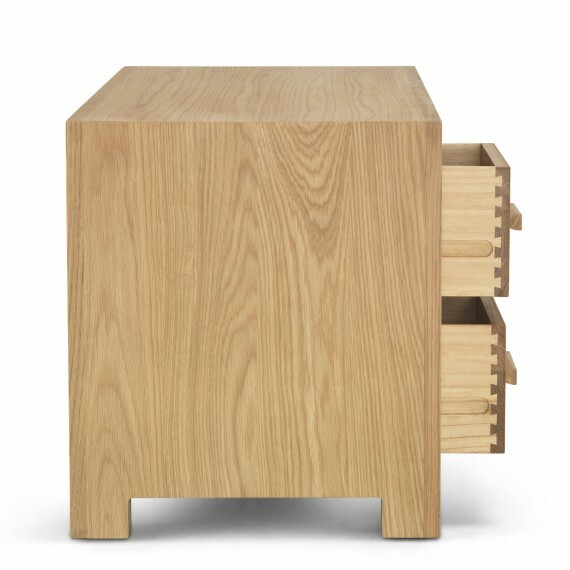 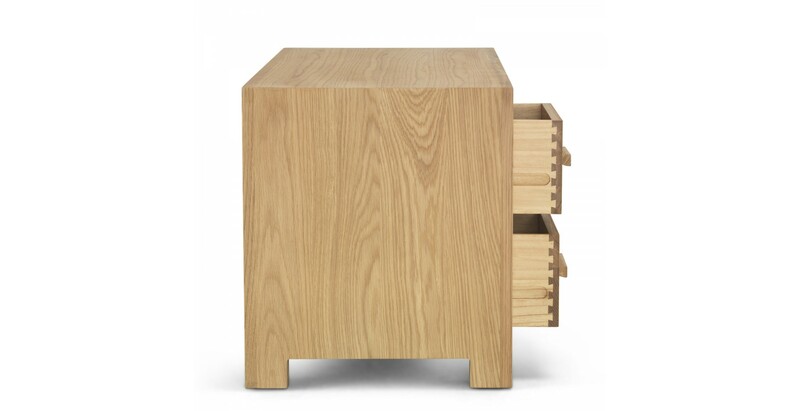 Beautifully made from oak and finished with a grain-enhancing matt lacquer, the sleek, modern lines of this smart unit will bring natural beauty and practicality to your living room. 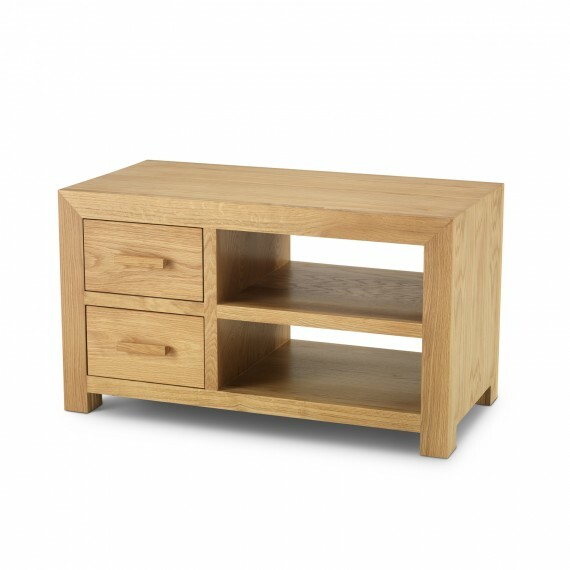 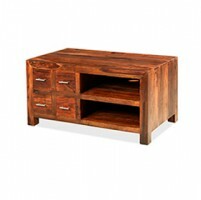 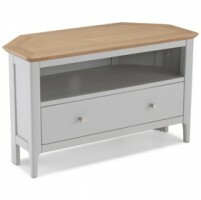 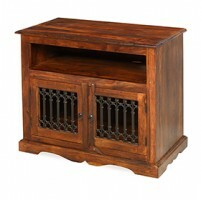 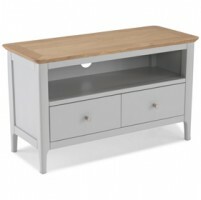 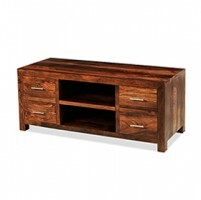 The sturdy surface will easily support your widescreen TV, the two open compartments will house your media devices, and the two dovetailed drawers will look after all your spare cables, remotes or DVDs. 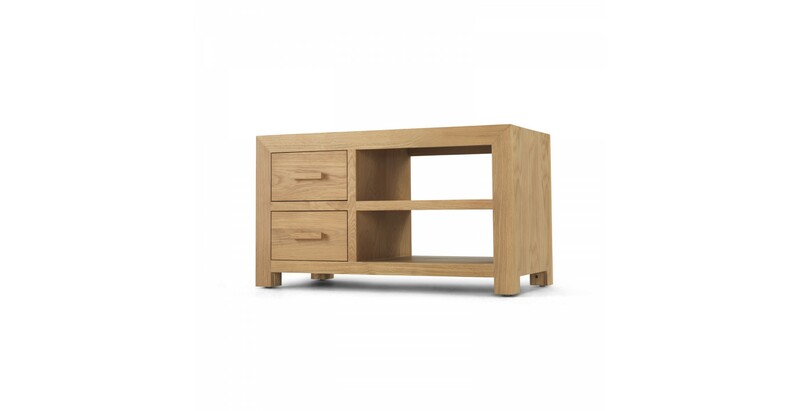 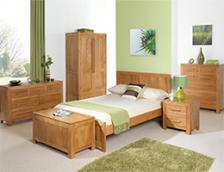 Ideal as a one-off accent piece, it will look equally good in combination with other furniture from this contemporary range.